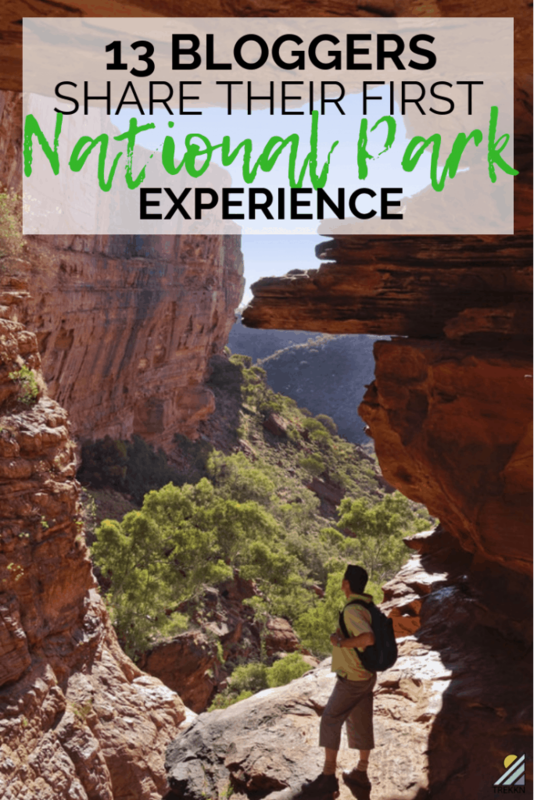 Do you remember your first National Park experience? Or maybe you’re gearing up to visit your first one and are counting down the days until your trip? We asked seasoned travel bloggers to share with us what their first U.S. National Park experience was like. It was so fun to read through their answers, as well as see the variety of different parks they visited. Not only did we ask them to share their first experience, but also which park is at the top of their list to visit next. Our goal was to give you a glimpse into what that experience was like for people from many different locations. People of different ages and backgrounds sharing an experience that’s ingrained in their memory, that’s become a part of them. As you’ll see, there’s a common thread surrounding everyone’s first-time experience. When I was 12 years old I stepped into my first US National Park. I never went to another National Park until 14 years later, and coincidentally it was the same park. Denali National Park, located in Alaska, is home to an abundance of wildlife, as well as the tallest peak in North America. The most recent time I was there I was able to see a brown bear and her two cubs, a moose picking its dinner off a tree, and two elk walking aside our bus. I ate wild blueberries and met professional sled dogs who help lower the environmental impact within the park. I bounced on tundra, and explored off the trail, something the Park Rangers really encouraged. I was truly spoiled with my first National Park experience though, because I haven’t experienced the freedom of Denali in any other parks I’ve visited. That being said, I cannot wait to get to Yosemite National Park. I’ve heard nothing but amazing things about this park, and I can’t wait to hike (at least part of) the John Muir Trail, as well as check out some waterfalls. When I moved to the United States twelve years ago, I decided to see as many national parks as I could. There is much incredible natural beauty in the U.S. I decided to start with the granddaddy of them all, Grand Canyon. I like to experience national parks as much as possible, so I started by spending five days riding the rapids of the Colorado River through the canyon in a wooden dory. Watching the walls of the canyon rise slowly above you as you go along the river is an awesome experience. This was topped off with a night at Phantom Ranch and then hiking the Bright Angel Trail from the river up to the South Rim of the canyon. It’s a steep hike with a series of switchbacks, but the scenery is mind-blowing. 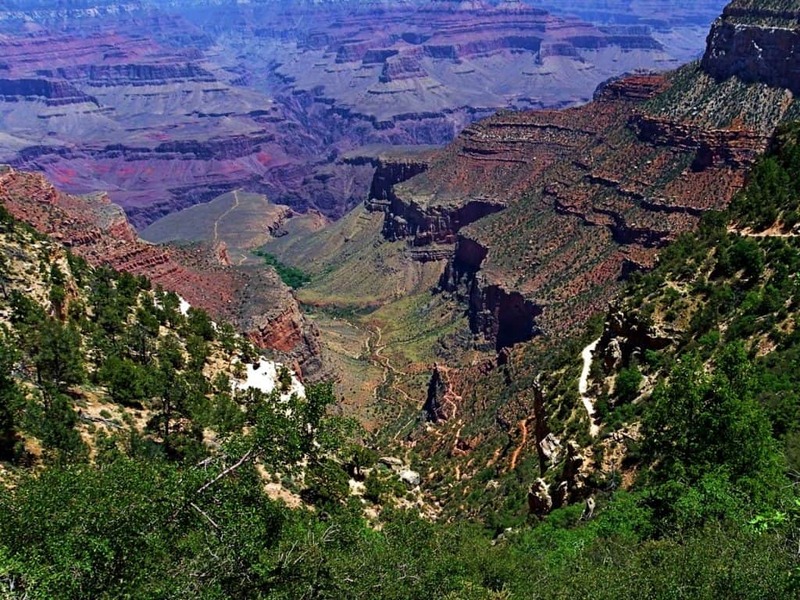 Then at the top, there are multiple vantage points along the rim with breathtaking views. Grand Canyon National Park was even better than I had expected and I fell in love with not just it, but the entire South West. My next national park trip is back to the South West to Mesa Verde National Park in September. I’ve seen photos of the cliffside pueblos and they look so cool and have such a fascinating cultural history that I can’t wait to be there in person to see them and learn more about them from native American guides. My first visit to a national park was not until I was an adult. 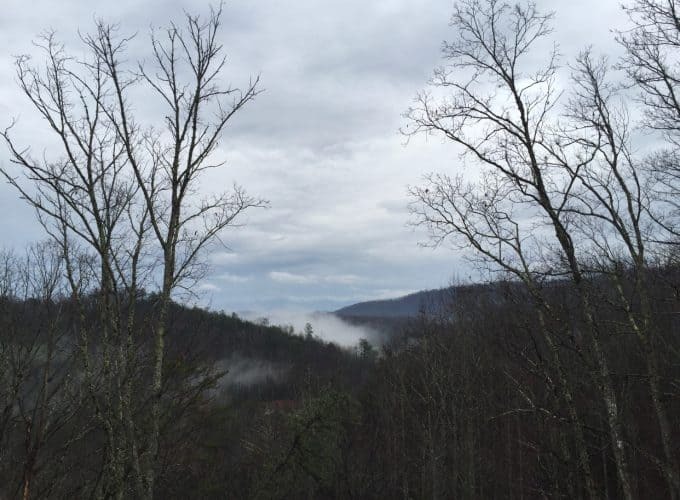 Our family visited Great Smoky Mountains National Park in December of 2014, and I was in awe at the natural beauty. We drove through the park and stopped at a few scenic points, and I was amazed by the vastness of this area. My very first hike was Laurel Falls. It was an easy hike of about 2 miles on a mostly paved trail. Our family had to scramble over a few small creeks and watch our step near some steep areas, but once we arrived at the waterfall area, I knew I wanted to hike again. Since then, our family has visited several national parks including Acadia, Yellowstone, Grand Teton, Grand Canyon, Glacier, and Theodore Roosevelt. Our next trip will hopefully be to Utah’s Mighty Five, with Zion National Park as our first stop. I continue to marvel at the beauty of America’s national parks and am excited to continue exploring them. Our first experience of a national park in the US was only very recently. After taking a 10-hour flight from London, we landed in LA and immediately headed out to the heart of the Mojave Desert to see Joshua Tree National Park. The homeland of these iconic trees had long been on our list of places to visit and it didn’t disappoint. Despite coming with a list of hikes in mind, after getting some advice from the ranger at the Visitor Centre, we took on a trail we hadn’t read about – the Panorama Trail – and loved it. 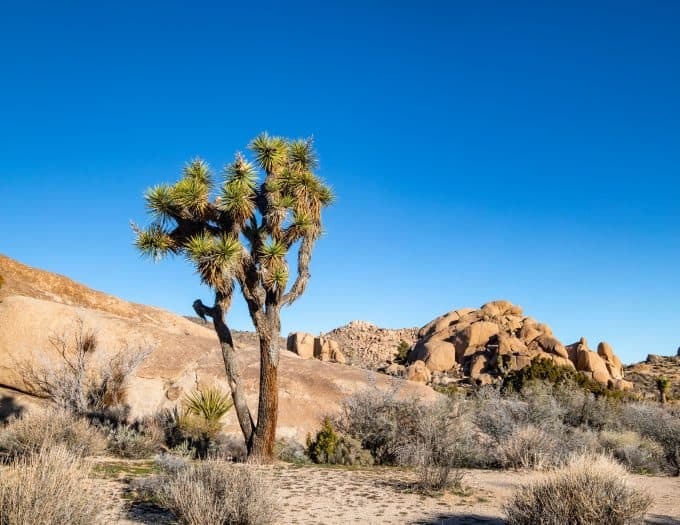 In the quieter western side of the park you can see hundreds of Joshua Trees, snow-capped mountains and an everchanging desert landscape without any of the crowds found on the more popular trails. Next we hiked the Split Rock, Barker Dam, Hidden Valley and Ryan Mountain tracks, and loved the incredible scenery on every trail. After this we visited another seven national parks in the same holiday and have plenty more in our sights. Top of our list is Yosemite and we just scored coveted permits for the Half Dome hike so we will be back in September to explore more of California’s best parks. Mesa Verde is unique among the US National Parks for its ruins. The cliff dwellings were built by the Ancestral Pueblo Indians between 1100 and 1200 C.E. and were inhabited for only about 100 years. 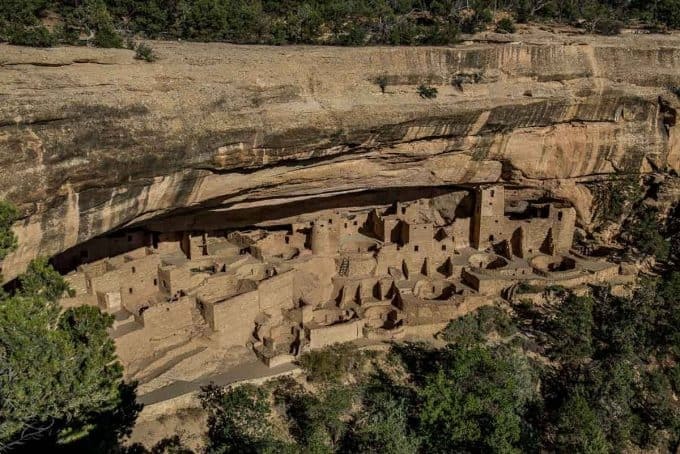 Archeologists theorize that a prolonged drought made it too difficult to live in the already arid Mesa Verde plateau and so the Indians migrated to the south. I’m sure I heard something about this when I first visited Mesa Verde with my brothers and father sometime around 1961. It was our typical family vacation–driving from Iowa, across boring Nebraska, to Colorado. This time, we veered from our usual camping trip in Rocky Mountain National Park down to Mesa Verde. As a 10-year-old who loved to learn, the Indian ruins were a revelation that has stuck with me–along with an abiding love for America’s National Parks. Although I’ve visited more than 20 National Parks, oddly I haven’t been to the two that are closest to my Minnesota home: Voyageurs and Isle Royale. That will be remedied this summer, I hope. Both are difficult to get to. To do Voyageurs, you really need a canoe. And Isle Royale, in Lake Superior, can only be reached by ferry from Grand Portage, MN, near the Canadian border, or from a few ports in Michigan. 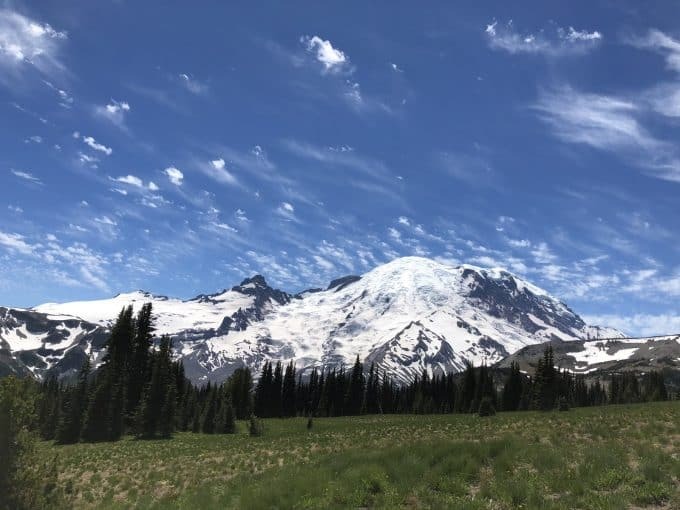 The first national park that I had the opportunity to visit was Mount Rainier National Park. We drove from Seattle, and spent the day exploring in the Sunrise Visitor Center area. This is the highest elevation you can drive to in Mount Rainier National Park. The views entering the park, and from this visitor center are unmatched. There are a number of hikes that start from this visitor center, and they all host a variety of difficulty levels. My family was able to enjoy a relatively easy hike. On the sourdough ridge trail we were able to experience walking through some snow in July, and also continue to find breathtaking views of Mount Rainier and surrounding mountain ranges. Once we had crossed this national park off our bucket list, we immediately decided that one of the next parks we hope to visit would be Olympic National Park. This park is also located in Washington State and looks like a wonderful place to spend a few days hiking and exploring with the family. There is something about seeing those big snow-capped mountains up close and personal! My first real national park experience was camping in Olympic National Park with my brother. I think I went to some national forests, monuments and maybe even a park or two as a little kid but barely remember it and have always thought of Olympic as my first REAL national park experience. My brother lived in Tacoma for a few years and I was fortunate enough to visit him for a few days so we camped in the Hoh Rainforest and drove to Hurricane Ridge. 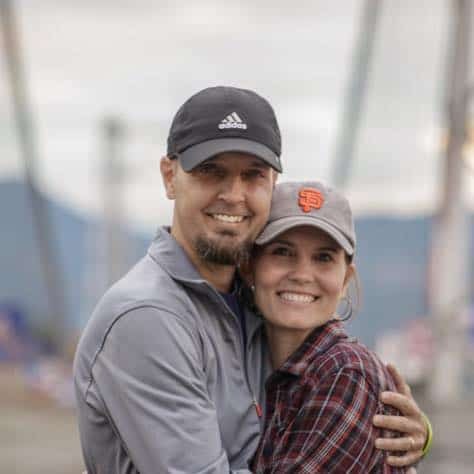 Fast forward more than a decade and we are both living in Alaska having visited countless other national parks together and solo. 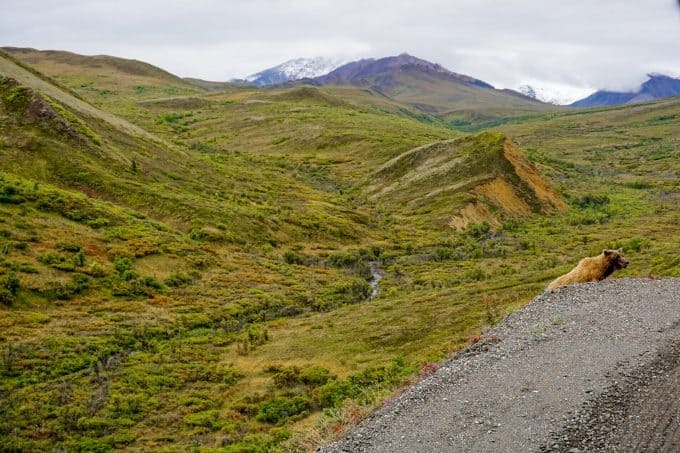 But the park that tops our bucket list is Wrangell St. Elias. The truth is I don’t know a lot about Wrangell National Park but I’ve heard from many local Alaskans that it’s their favorite place in Alaska. With a little bit of luck we might be able to explore it this summer and I know if we don’t make it this year, we’ll get out there soon because we both live for these kinds of lesser known adventures. I fell in love with Rocky Mountain National Park at the age of 10 and it will always be my first love affair. That year we spent the day cruising along Trail Ridge Road, stopping at all the pull offs and taking pictures of mountain unlike anything us flatlanders had ever seen before. 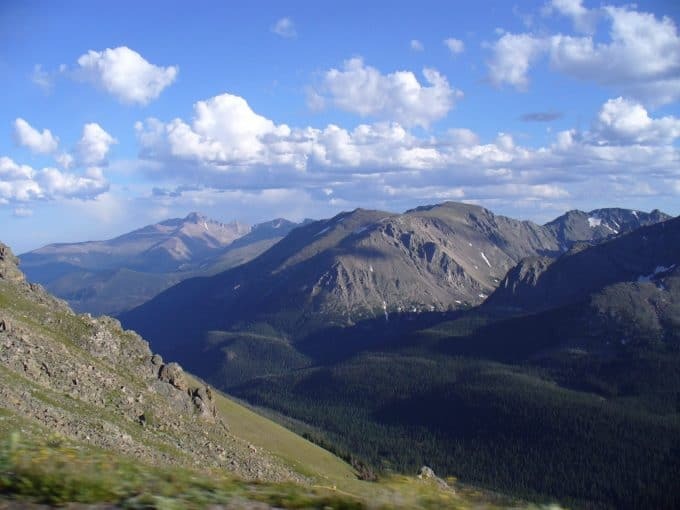 You’ll find that Trail Ridge Road is one of the most interesting National Park scenic drives. It was designed specifically to capture breathtaking views of the Rockies. There are several short hikes that trailhead along this highway leading to the unique ecosystem of the alpine tundra. You can also have a little fun in snow which is certain to still be hanging around all summer. Since that early trip we’ve extensively explored Rocky Mountain National Park. You will love wandering the 350 miles of hiking trails. One of our favorites is the trail to Sky Pond which leads past turbulent waterfalls and relaxing lakes. There are over 30 named waterfalls here! Other great things to do in Rocky Mountain National Park include exploring on horseback, taking advantage of their extensive ranger programs and enjoying a few nights in the campgrounds. Where to next? The Pacific Northwest is on our bucket list and we are super stoked about exploring Mount Rainier this summer. We recently completed an epic four week road trip around the Southwest USA focussing on State and National Parks. Our first Park experience ended up also being one of the best, Saguaro National Park in southern Arizona. The park is actually divided into east and west sections with Tucson separating them. I can tell you that the two sides are quite different but equally as incredible in their own way. 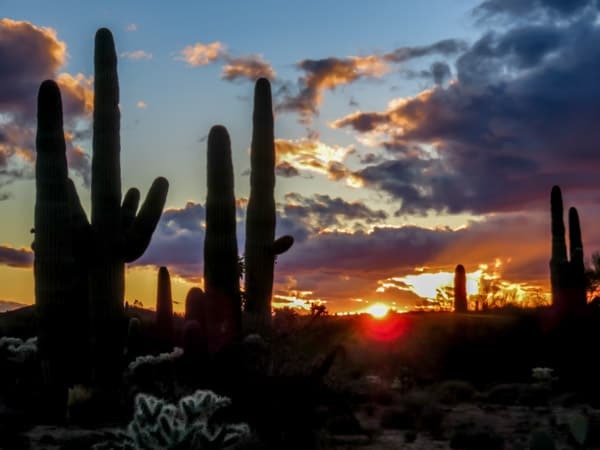 We witnessed a beautiful sunset while driving the loop road in the East Park, and seeing the giant Saguaro Cacto silhouetted against a vibrant sunset is a sight that will not be easily forgotten. The East Park is quite flat and the walking trails easy and picturesque. Head over to the West Park and things look ver different. So many more Saguaros, a rugged landscape, tougher hiking trails but worth the extra effort for the breathtaking views across miles of cacti. This had been high on my wish list for many years and it went way beyond expectation. Saguaro National Park may be a bit out of the way but there is nothing else like it in the world. Top of the wishlist now is Mesa Verde National Park because why wouldn’t you want to explore ancient Indian cliff dwellings? It was supposed to be part of this trip but was closed due to snow. Gives me a good reason to plan another road trip. The first US National Park I visited was Sequoia National Park in California. I’d been living in California for some time and thought I was used to seeing huge pine trees. However, seeing the giant sequoia trees in person was another thing entirely. 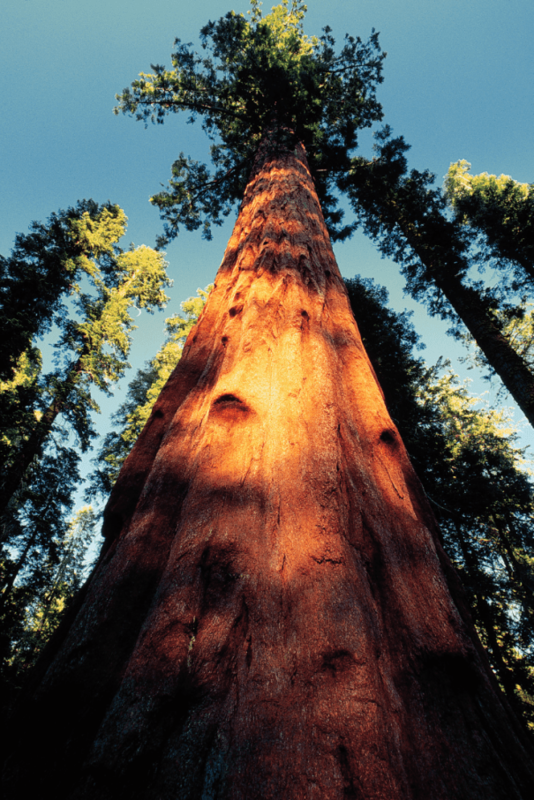 You can walk around the base of the General Sherman tree, which is the largest tree by volume in the world and almost 11 meters in diameter. The park is wonderful for a day trip or a longer visit. Unfortunately for me I was on a quick trip and only visited for the day. I’d love to go back and do some longer hiking trails. This trip was also the first time I saw a bear! The cute little black bear crossed the road while I was safely in my car only meters away! The next national park I hope to visit is Glacier National Park in Montana. Glacier has been on my bucket list for a number of years now. I’d love to spend a week here doing some long distance hiking and to see the wildlife. Of all the animals I would like to see in the wild a moose tops that list. Our first US National Park to visit was Yellowstone National Park with our then three-year-old son. Travelling nearly 7000 miles to reach it, it was worth the long-haul flight and two-day road trip. To put it simply, it took our breath away. 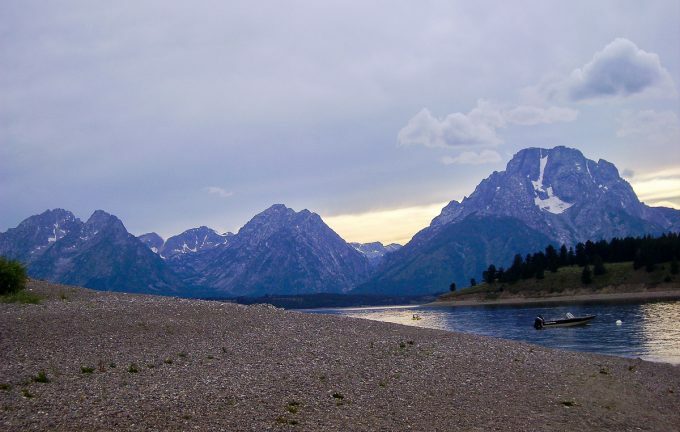 Yellowstone sits mostly in the state of Wyoming and was the world’s first National Park. If you want to experience nature in all its forms, you won’t find a better place than Yellowstone. 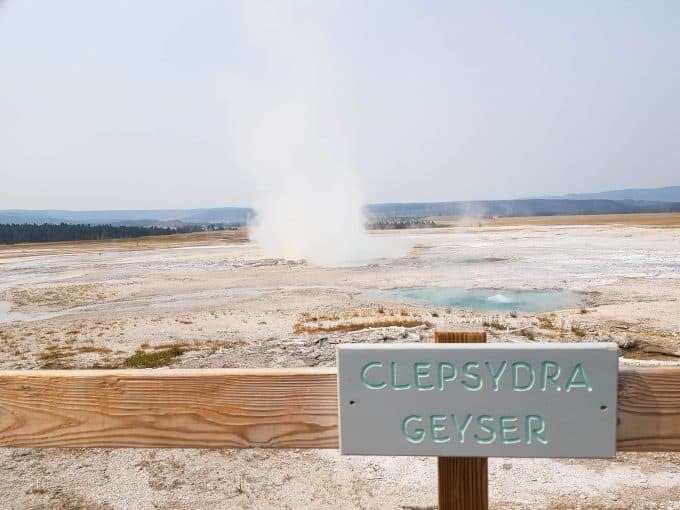 From seeing bison, elk and coyote, to standing beside the Grand Prismatic Spring and seeing Old Faithful Geyser erupting, to enjoying the beauty and wonder of Yellowstone Lake and the Hayden Valley, it has it all. While our son may not have really appreciated it, us adults were stunned into silence on many occasions. We’d always wanted to visit Yellowstone and tick it off the bucket list. However, we were so taken by it, that we plan to return in the future. And we can highly recommend the Old West Dinner Cookout with the cowboys of Yellowstone. An experience not to be missed. In the future, we plan to revisit Yellowstone along with the other National Park that is top of our list, Glacier National Park in Montana. We only really learned about it during our visit to Yellowstone but didn’t have time to take a detour. So, the next US National Park on our bucket list is most definitely Glacier. I think it too is going to take our breath away. The first National Park I ever visited was Yellowstone National Park in Wyoming. It was also the first time that I had ever seen the rocky mountains or mountains like that in general. The experience of seeing mountains and landscapes like that for the first time in your life is incredible. I was young at the time and completely in awe. Yellowstone is a great national park for first-time visitors as well because there is so much diversity there. The dramatic peaks of the rocky mountains to the waterfalls and geysers to the colorful geothermal springs- there is just so much! And you, of course, cannot forget the abundance of wildlife you can see just about anywhere you go- even just driving down the roads through the park. Since visiting Yellowstone National Park, I have visited some other incredible national parks in the United States, although I have never been to California so I am really hoping to visit the Redwoods National Park next. 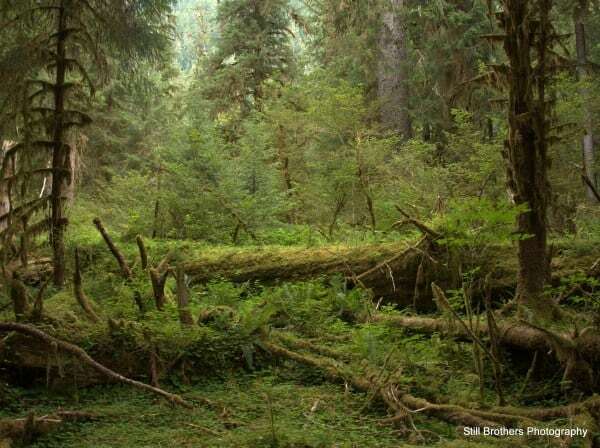 I am super excited to hug a ginormous tree and be surrounded by gorgeous forest terrain! My first National Park visit was to Utah’s Zion National Park. Staggeringly brilliant cliffs, looming mountains, and canyons slicing through the desert floor, Zion is a nature and outdoor lover’s paradise. There’s something simply stunning about the oranges, golds, and reds that emerge within Zion’s borders. On my first visit to Zion, I was shocked at the enormity of the landscape here. 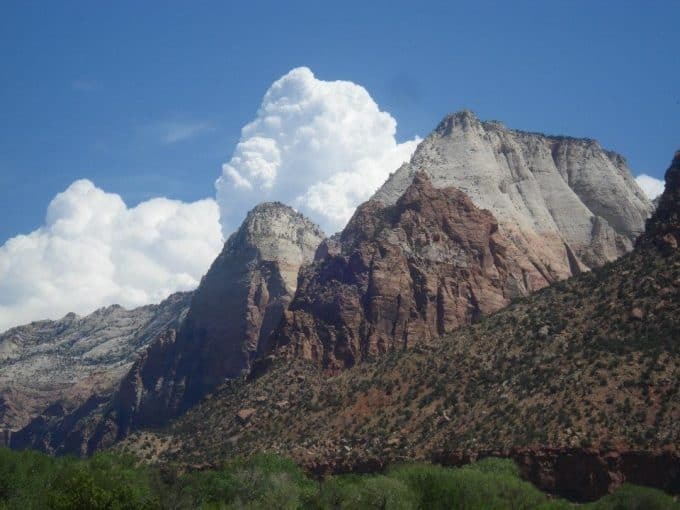 A visit to Zion will remind you that you are a very small, humble part of this world, as you stand in cavernous riverbeds gazing up at sheer cliff borders, or bask in the shadow of one of its mountain bases. The best way to soak up all that Zion has to offer is to trek on some of its most iconic hikes, including Angel’s Landing, Observation Point, and the Subway trails. A hike in Zion can expose you to a variety of unique landscapes, from navigating canyon slots, to taking in expansive panoramic views. The next National Park on my bucket list is Theodore Roosevelt National Park in North Dakota. Although lesser known and less visited, this park is brimming with wildlife and exhilarating views! On my trip, I hope to witness some of the bison, elk, horses, eagles, and prairie dogs that the park is renowned for. I also plan on taking part in some of the best hikes in the park, such as the Petrified Forest Trail, the Wind Canyon Trail, and the Painted Canyon Trail. Did you notice the common thread in everyone’s first-time experience in a U.S. National Park? It was awe. Stepping foot inside a National Park for the first time stirs feelings and thoughts inside of you that you possibly have never experienced before. And it doesn’t really matter the terrain. Whether it’s the mountains of Yellowstone or the unique trees of Joshua Tree, the experience is memorable and down-right good for the soul. Hi Julie, Love this post. The National Parks in the U.S. are so fantastic. More people should make the effort to get out and see our beautiful country. I like how you got other bloggers to put in their advice.